It’s not that often that I get enthralled by a history book. That’s not to say that there aren’t interesting people littered throughout the course of history to read about. There certainly are. But more often than not, when I pick up a biography about one of those figures, it makes for rather dry reading. Maybe it’s because the author has to do their best to be objective about the character, to focus purely on provable facts, and to avoid making assumptions that can’t rightly be made. Maybe it’s because real life often doesn’t tell tales that are as clean and neat as those that we find in fiction. Or, maybe it’s because you just don’t often enough find many mentions of vampires in the non-fiction isle. It’s hard to tell. Perhaps there’s another way to teach us about history though… a better way. Seth Grahame-Smith has stumbled on a solution to all these problems. All you need to do, apparently, is add a touch of the undead. At least, that’s the theory. For those not familiar with his work, this is the same author that brought us Pride and Prejudice and Zombies. In that book, he takes what was for many of us a high school reading assignment and makes it infinitely more interesting by adding in a few characters with a taste for brains. Love should be about what’s inside after all. 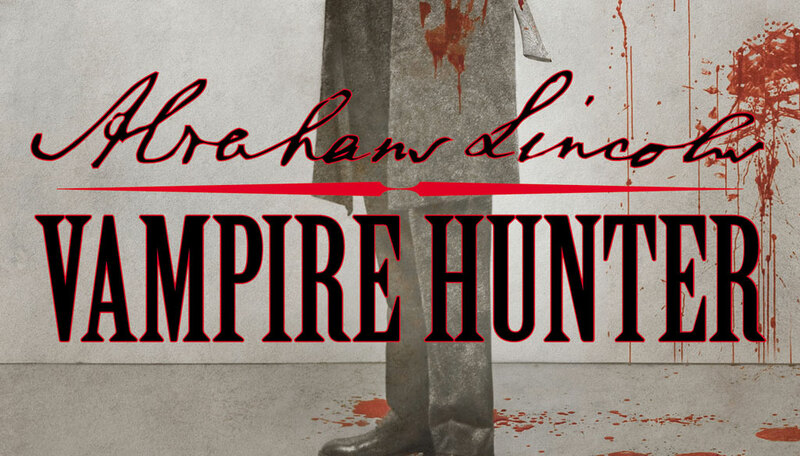 With Abraham Lincoln: Vampire Hunter, Grahame-Smith brings back this same method, but in a much less restrained manner. Instead of altering the words of an existing novel, he chooses to go the route of altering history itself, and he makes a compelling case for Honest Abe as a 19th century Buffy. What is probably most interesting about this novel is the way it melds fact with fiction. As someone that grew up in Illinois, the ‘Land of Lincoln’, I spent quite a bit of time in school learning about the 16th president, but even with all the field trips and all the stories I heard about him growing up, there were still a fair number of actual facts that I learned about Lincoln in the course of reading this book. To be fair to my history teachers, that may very well be the case that I just wasn’t paying close enough attention during class. Yet, if that’s the case, it gives even more credit to the ability of this book to make the factual parts of the story interesting enough for people to really get into and absorb. If books like this were required reading back in those days, I have a feeling I might have paid a little more attention. Since there are so many historical references involved in the book, it is important to note one thing, however. There are a ton of footnotes in this book. They serve to try to help the reader better understand what Abe is referring to when he mentions certain items that aren’t in common use today, or when he talks of certain events taking place at the time, and by using them the author did a great job at stopping me from feeling lost at spots. The only downside is that I can’t recommend reading this book on the Kindle, since it does a horrible job with handling those footnotes. I found myself getting extremely frustrated early on in reading this, when my e-reader decided to make it almost impossible to navigate from a footnote back to the page I was reading when I first decided to tap that same footnote. Soon after that, I bit the bullet and ordered a paper version of the book, which made for a much nicer experience. Sometimes the old ways are still the best ways. About the only complaint I have about the book, aside from the Kindle’s apparent hatred of footnotes, is that the end is a little on the silly side for my tastes. Then again, what should I really have expected given the title? I would encourage you to give it a read if you’re in the mood for something to put a new spin on the world. You can find purchase links and more info on our profile page.